After 56 years of travel restrictions and the U.S. Embargo against Cuba, people continue to ask me what it’s like in Cuba. Contrary to many people’s preconceived notions, I tell them unequivocally that Cuba is safe, Cubans are well-educated and talk openly and freely, and that Cuba’s wealth is measured by the spirit of the people, their zeal for life, ingenuity, passion, and embrace of culture and family. As such, Cubans know how to celebrate an occasion whether it a little salsa dancing in the family kitchen or an annual festival. When traveling, I treasure stumbling on a festival and have even planned my travels around visiting a destination because of a festival or celebration. I’m sure you have too, or at least have thought about it. If you are thinking about traveling to Cuba, let this cross section of Cuba’s most popular festivals tantalize you some more. Included are both the English and Spanish names of each event. Please note that not all dates for upcoming festival dates have been released at the time of publishing. If the actual date is not available, we have provided the typical month the event has occurred in the past. Also, some dates listed may change. It’s always best to check the festival website as well as other sources before making your travel plans. What better way to start the year than by celebrating the island’s justly famous jazz tradition? In big theatres and on small street corners, Cuba’s—and the world’s—best-known jazz artists and up-and-coming musicians stage concerts and jam sessions. Other festival features include competitions, photography exhibits, and the chance to interact with the renowned participants. Going strong since 1978, the International Jazz Festival plays out over several days. Since 1959, Cuba’s government-sponsored cultural organization Casa de las Americas has presented this prestigious prize to writers in Latin America or the Caribbean. Award categories include poetry, fiction, essays, and young adult. Judges consider more than 650 works from about 25 countries, and winners are announced at the festival’s conclusion. Past prizewinners have included poet Pablo Neruda and novelist Gabriel Garcia Marquez. It’s not surprising that a highly literate society would host more than one eagerly anticipated literary event each year. At Cuba’s International Book Fair, authors and readers meet over several days at various locations for workshops, sales, readings, and educational activities. Each year’s fair focuses on the literature of a different country. The book fair has introduced many Spanish-language authors to the public and has hosted scores of famous writers. Past participants have included novelist Alice Walker (The Color Purple) and playwright Bertold Brecht (The Threepenny Opera). Typically, millions of books are bought and sold at this event. More than a thousand visitors from some 60 countries converge for five days of factory and plantation tours, a trade fair, gala dinners, new-product rollouts, contests, master classes, and samples. Cigar enthusiasts learn about the business of tobacco processing and the making of Cuba’s best-known product. For the first time in more than half a century, Americans may bring home Cuban cigars. Smoke ‘em if you got ‘em! This weeklong celebration of Latin rhythms features master classes, lectures, guest performers, the International Percussion Competition, casino dance contest, and numerous performances at various venues around town. Fiesta del Tambor, begun as a drum festival, attracts musicians, aspiring performers, and music aficionados the world over, and promises a lively time for all. No need to BYO instruments to workshop classes: they’re provided. Various cultural organizations sponsor this widely attended film festival and competition, begun in 2000 to memorialize Cuba’s best-known documentarian, Santiago Alvarez, and pay tribute to the nationally renowned genre. Participants engage in seminars and screen Spanish-language films in various formats and from all over the world. Juries of cinema notables award prizes in several categories. Performances, master classes, workshops, and the International Student Ballet Contest reward participants at the biennial International Meeting of Ballet Academies, held at Havana’s Teatro Nacional de Cuba. Students from about a dozen countries come together to share their love for the dance and present their works to a few hundred ballet enthusiasts. Begun in 1960, the IMBA is one of the cultural world’s longest-running celebrations. Camaguey hosts the International Video Art Festival (not to be confused with the International Documentary Festival or, for that matter, the Gibara Low-Budget Film Festival). One of Cuba’s newer cultural events, the Video Art Festival recognizes emerging, established, and mid-career artists, and considers new Spanish-language (or Spanish subtitled) works of all lengths and topics. Artists do not pay to enter their projects. A grand prize, Noemi Prize, and other awards are conferred. Literary and cultural, Cuba appreciates the art of film. The ICAIC—Instituto Cubano del Arte e Industria Cinematográficos (Institute of Cuban Cinematic Art and Industry)—hosts an annual show of works by persons under 35. Many categories, including animation, feature, and documentary, are considered for recognition, as is poster art. The competition, with prizes in several categories, generally celebrates the unusual. Seminars and meetings round out the event. Havana hums with tributes and tradition as the country pays homage to its Spanish history. Dance, music, poetry, visual art, and theater come together in this umbrella arts festival, dedicated to a different region of Spain each year. Expect to see top talent at this cultural celebration, held annually since 1988. Since 2008, this three-day festival for the food trade, intended to boost Cuba’s culinary reputation, has highlighted the region’s cuisine, as well as its wine, coffee, and cigars. Participants from many countries gather for lectures, exhibits, workshops, contests, and, of course, tastings. Held in the luxurious Varadero resort community, the IVG draws thousands of attendees eager for a taste of Cuban cuisine and the chance to bask on the island’s sunny beaches. Holguín’s centuries-old Christian religious festival incorporates several traditions along with a celebration of springtime. An annual pilgrimage to the wooden cross atop Bayado Hill, begun in 1790, became an official holiday in 1945. Today, the festival weaves a number of smaller events into a colorful spectacle. Visitors can expect to see costumed performers, concerts, dance, and other entertainment, along with traditional ceremonies. Cuba loves music. Nowhere is this more evident than at Cubadisco, the island’s annual music showcase featuring concerts, contests, and conferences. For more than 15 years, the country’s recording industry has put on this event to debut talent and trends. Often considered the nation’s most important musical gathering, Cubadisco draws musicians, executives, and enthusiasts from all over. 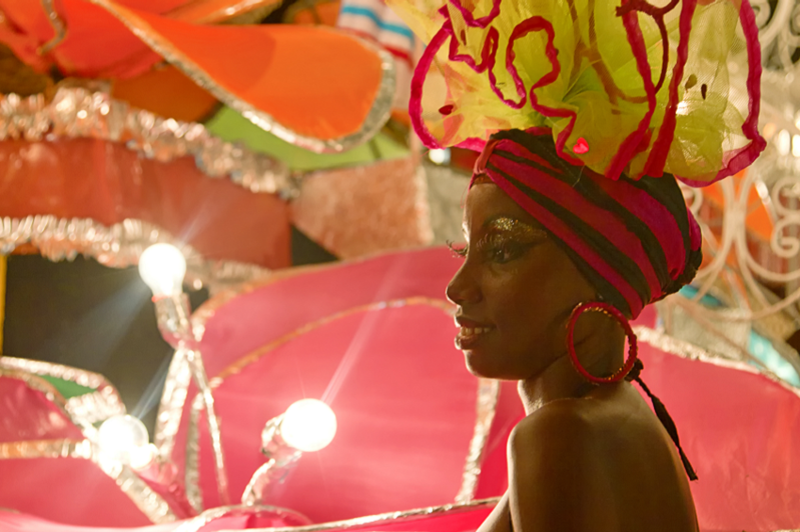 Like many of Cuba’s festivals, Cubadisco honors a different Spanish-speaking region each year. As the name suggests, the biennial was every two years however in recent years it has been longer in between events. Cuba’s biennial festival transforms Havana’s already colorful streets and waterfront into showcases for statues, sculpture, and other contemporary artworks. Past fairs have included works by Caribbean, Latin American, African, and Asian artists. New rules allow artists from all countries to participate. Local museums, schools, and galleries host exhibits, film and video screenings, master classes, panel discussions, and presentations. Each biennial celebration examines a single theme. The career-making event, begun in 1984, attracts hordes of visitors and artists alike. Billed as a celebration of fishing and friendship, this long-running event (established in 1950) takes place at, where else, Marina Hemingway, just outside of Havana. Over four days, anglers fish individually or in teams, and compete for prizes for the biggest and first catches in specific categories. Pursue marlin, tuna, and other deep-sea fish in this tag-and-release contest and get your macho on. World-renowned author Ernest Hemingway loved Cuba. He made his home there for the last two decades of his life, and created some of his most memorable works, including “The Old Man and the Sea,” around his experiences there—so it’s only right that the island return some of that affection to “Papa’s” memory. Each year, the region hosts a symposium dedicated to the prolific writer. Academics and enthusiasts gather for photo and film exhibits and lectures at Havana’s Hotel Ambos Mundos, where Hemingway once lived and worked. Havana stages its Carnival of Havana, also called the Havana Festival, the first week of August. Originally a holiday for slaves, the centuries-old seaside event offers a respite from steamy summer temperatures. Music, dance, floats, colorful costumes, traditional food and alcohol, and a day devoted to children’s entertainment and activities highlight the festivities. One of the nation’s newer cultural celebrations, Cuba’s salute to “All the Arts at Once” showcases music, visual art, drama, and dance. More than one hundred artists or groups perform, and various cultural institutions stage exhibits. Music and dance workshops are held in multiple venues. Plastic arts, crafts, literature, audiovisual art, and theatre all are represented. Every two years, Alicia Alonso and the Havana Ballet gathers the best dancers from ballet companies around the world and features over 20 performances during the festival. Held at the newly and beautifully renovated Gran Teatro de Habana, performances are a special treat. Holguin plays host to this colorful event that celebrates the links between Spanish and Cuban culture. More than 300 artists and performers representing more than 20 countries and virtually every art form converge on various venues. Concerts, dances, exhibits, and other presentations grace local streets and parks, as well as theaters and other cultural institutions. Each year’s festival highlights a different Spanish-speaking region. For more than 35 years, Havana has hosted plays and other performances by local and international theater troupes biennially. Workshops, exhibitions, and conferences take over theaters, as well as streets, parks, and local venues. Several provinces serve as sub-venues. Each festival considers a single theme. More than 70 countries, including China, send actors, dancers and dramatists. Cuba’s annual marathon and the prior day’s Maracuba 3km half-marathon draw hundreds of runners from all nations to Havana’s streets. Held on the third Sunday of November for almost 30 years, and encompassing 42 kilometers, Marabana now admits American racers. Disabled runners may also participate. Prizes are awarded in several categories. Pre-race physicals and first aid are available. Take in the city’s long-forbidden sights while competing alongside your Cuban counterparts. Twice a year, the renowned Partagas cigar factory, hand-rolling Havanas since 1845, stages an exclusive party for friends and associates. (A second smoky Partagas party is held in April.) Culminating in an elegant wine-and-cigar dinner, the four-day event includes tastings, fine dining, horseback riding, and other pastimes and festivities. This biennial music festival, begun in 1980, pays tribute to the memory of the beloved bandleader, singer and composer, while putting on a two-cities-wide music-and-dance party featuring the island’s best-known musicians. (More’s hometown, Santa Isabel de las Lajas, which he popularized in song, shares the spotlight with his adopted city of Cienfuegos.) Lectures, tours, and exhibits round out the fun. Cuba’s famous end-of-year nighttime festivals in the countryside towns of Villa Clara province feature fireworks, floats, dance, drumming, and spectacle. The town of Remedios, where the first Parrandas celebration was held in about 1820, hosts the best known, leading up to Christmas. Caibarien, 15 kilometers down the road, stages a fete of equal grandeur. Other towns host local versions. Cuba’s earliest musical compositions were hymns and carols, so it is only fitting that the nation should celebrate this melodic tradition. Choirs from Cuba and around the world participate in a six-day celebration of song, performing in venues grand (Teatro Amadeo Roldan) and small (such as local schools, and even factories, hospitals, and public plazas). Musical styles include popular, modern, traditional, and classical. Workshops, contests, and related events complete the celebration. For almost 40 years, hundreds of filmmakers and a greater number of cinephiles have gathered to promote Spanish-language cinema and cultural pride. Prizes are awarded in various categories, including fiction, documentary, animation, and even posters and unproduced scripts. Meetings, seminars, retrospectives, exhibitions, and other events take place over the festival’s ten days. Each year, tens of thousands of visitors flock to Cuba’s best-known craft fair, established nearly 20 years ago. Over a little more than two weeks, FIART hosts nearly 400 local and foreign exhibitors offering all kinds of Cuban and Latin-American folk art, handicrafts, furnishings, and clothing, from natural-fiber woven blankets and hammocks, to handmade handbags and dresses, to fine porcelain figurines, jewelry, pottery—and just about any other handcrafted item you might care to name.